He told GQ Style magazine: (The split was) self-inficted... If you love someone, set them free. Now I know what it means, by feeling it. 'I mean, we have a winery. I enjoy wine very, very much, but I just ran it to the ground. I had to step away for a minute,' he continued. 'And truthfully I could drink a Russian under the table with his own vodka. I was a professional. I was good,' before conceding that he didn't 'want to live that way anymore. 'But me, personally, I can’t remember a day since I got out of college when I wasn’t boozing or had a spliff, or something. 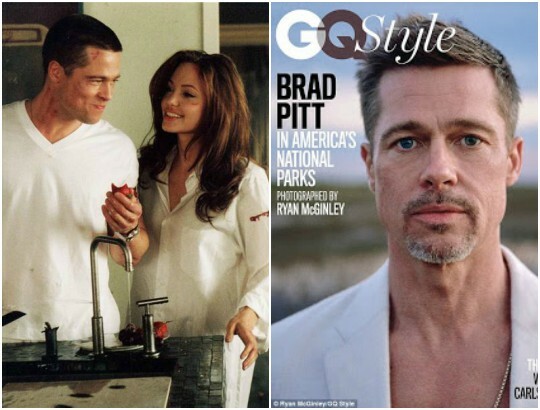 The 53-year-old actor graced the cover of US GQ Style magazine, the first time he has appeared on the cover of any magazine since his split.